Do you want whiter teeth? You may not even remember how white your teeth were when you were young. Over time your teeth gradually lose their original pearly white colour as they become stained from food and drinks like wine, coffee and tea. 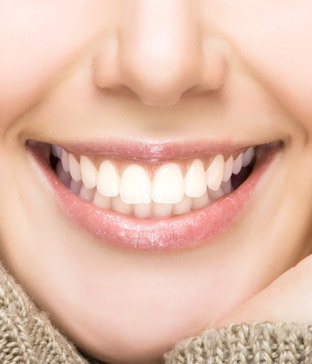 With teeth whitening treatment you can restore your teeth to a beautiful, lustrous white again. TranscenDental Group is proud to offer the KoR Whitening Deep Bleaching System. This advanced whitening system uses thin plastic trays that are custom-made to fit your teeth. Because the trays are thin and form-fitting, they are much more comfortable than other whitening trays. Your treatment begins with a whitening consultant to decide what shade of whitening you desire, and then we take impressions of your teeth to create the trays to perfectly fit your teeth. The KoR trays are convenient. You only wear them while you sleep, and you only wear them for two weeks to achieve full results. Because the bleach is sealed inside the tray you will never have to worry about the trays leaking. After two weeks of treatment you return to our office for a final check, and then your treatment is complete. To learn more about teeth whitening or the KoR Whitening Deep Bleaching System, contact us today.